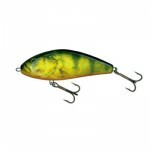 XBuster is a swimbait/jerkbait from Strike Pro. Single jointed with an outstanding action. 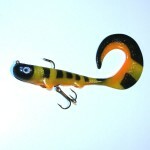 You can basically fish this bait any way that you like, and the bait will deliver nice side to side action. The XBuster has a wide sweeping action when you crank it. When you pause the XBuster it continues the motion and shows the entire side for any following fish. Super easy to work, short pulls work the best. 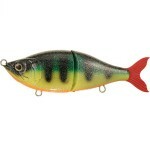 You can fish this bait fast or slow and it is works all seasons. Tags: cwc, lurevideo, underwater video, video, x-buster, and xbuster.